I am now trying to figure out how to wire up a Ignition switch. I dont have the stock key switch. I just want to do a Toggle. I have a wiring diagram, and know that power feeds in on one wire, and out to 3 wires when the IGN is on. What I dont know, is wither or not there is a antitheft feature in the stock switch, and if so, how do I bypass. I believe there is, and I need to install a resistor in the wire to the ECU, but Im not sure, and I dont know what resistor and or wire to use. Wiring diagram shows Battery + coming into the switch via Red wire. Power leaving the switch on Brown/Blue to 3 Fuses, IGN, Signal, Headlight. Power leaving the switch on Blue/Yellow to Starting circuit cut-off relay, and clutch switch. I also am wondering if just bypassing the stop/run switch is ok? I would be killing the the motor by switching off the main Ignition switch. I have a PDF file of the wire diagram and all the descriptions to the components. It's in another computer, though. If there's any way that you can upload a picture of the diagram and component listing, say in bmp or jpg format, I'll be happy to attempt to solve some of the problems you have. Been there, done that - just a long time ago. Yes, you can bypass the kill switch. The leads out of the key switch - are they all switched? Can't recall. If so, then all you'll need is a common input and output. Can't say either way on the anti-theft setup. I had a key. I believe that you can rid yourself of the power to the clutch switch and directly ground (or is it run power to? 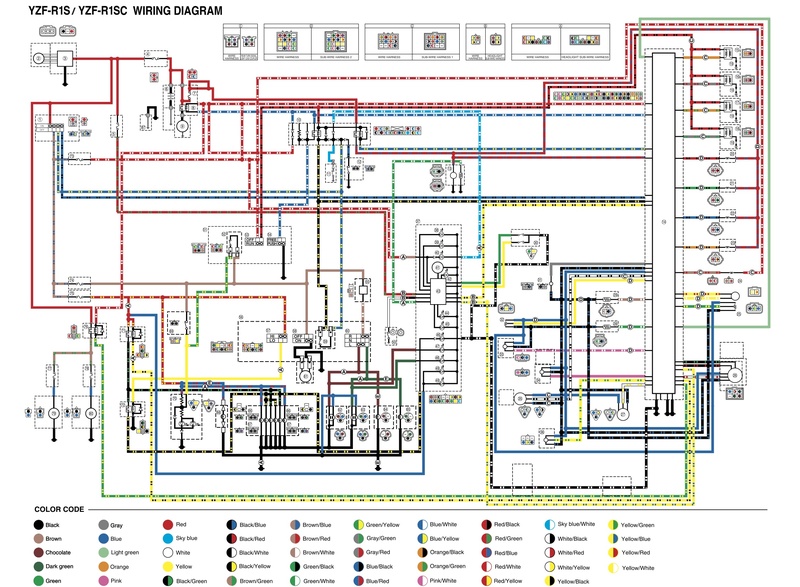 - once again, can't recall) the ECU, eliminating the circuit completely. BTW - welcome to the site. This is something that many on this site have been looking for. I'll dig around here in a while and get back to you. I'm not sure if the bike setup has a security key or not. If it does, as you stated, there'll be a resistor that needs to be installed somewhere. Coming off the ignition switch (left side of the pic, Item #1), the wire on the left side (funky brown/pink with blue dots) you can remove everything that's attached to it below the first junction that leads to Fuse #73. 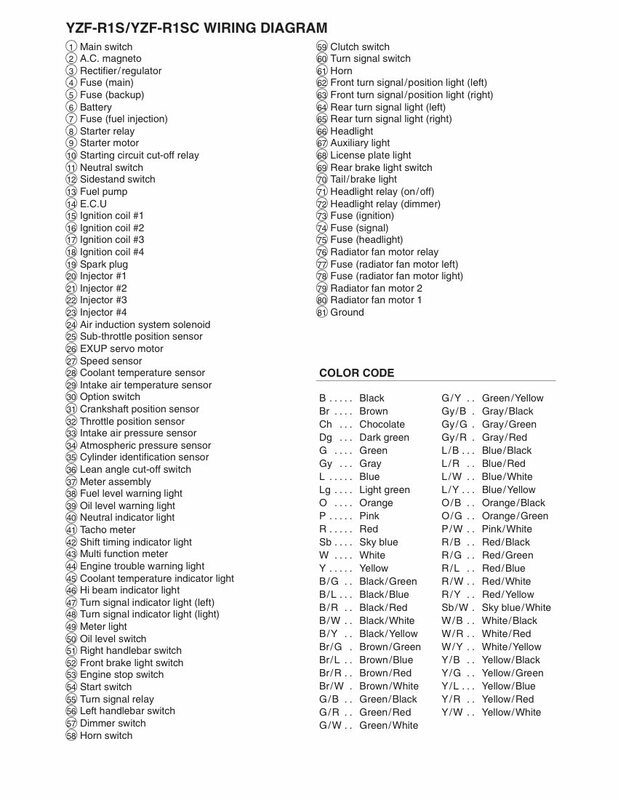 That pretty much rids the harness of all lighting - signals, brakes, head. You can also use it to power a circuit if you'd like. It has two switches for brake activation #52 & 69 (easy enough to remove one of them - they're tied together as it is. - I'd remove the handlebar switch #69.) Use a pressure switch in your brake system and sub that for either of the harness switches and tada, brake light harness. Use the line out as a relay activator to keep the load out of the bike's harness. It's also nice to set up a system that utilizes the light circuit. I used the line off the switch to power a relay that activated the car's wire harness when I did it. That way the bike harness just acts as a signal and doesn't carry any load. Set up right, you can have the high beam indicator illuminate when you turn on something like a light bar. The blue and yellow line off the switch. I remember having to deal with that one a bit - the diodes were an issue at first??? I want to say that I finally ended up just running it into the spot where the black with yellow dots line (two to the left of the blue/yellow) goes in. It pretty much completes the power circuit via the clutch switch, so just jump past that whole mess all together. Obviously the power line to the ECU needs to be there. That's what fires up the brain when you turn on the system. So a switch that activates all three lines will be needed, but not all the crap attached to those lines needs to stay if you're not needing any of it. If I were you, I'd leave in things like the light harness, just so you have the ability to expand later w/o having to go back in and redo it all. The stuff's already there, doesn't take up much room and it's easy enough to just wrap up all the loose stuff. Thanks alot for your insight. I just need to figure out if the 05 R1 indeed does have to have a resistor, and where it would go. I found instructions for a GSXR with resistor info, that someone said they used to do the same thing to a R1, so I guess Ill try that. Use the stock harness and replace the stock relays with a regular style (automotive) relay. The relays require very little power to activate. The stock relays can probably run the fan. I would imagine the fans between the two machines are very similar. Fuel pump??? Would probably be okay. I can't imagine a pump needing a huge amount of current to run. I found a post on R1-forum about bypassing the ignition switch, and there was someone with a 04-06 R1 that wanted to get rid of the key switch for a track bike. He used the GSXR instuctions and said he got it to work. I believe the resistor is correct, but the wiring calls for wiring the ECU wire to the ground wire with the resistor. But the R1 doesnt have a Ground wire in its main switch, so Im very confused as to what to do. Can you make sense of what they are doing? I dont really want to run everything off the Stop/Run switch like they did, just want to have a simple toggle for IGN. Here is the how to for the GSXR. "Maybe" i just need to find the right wire colors??? one would install the resistor with out a soldering iron. harness. The key switch has two connectors along the right frame spar. clamp to get the harnesses free. to 1" in length and solder a lead of the 100 Ohm resistor to each wire. B/W wires and resistor leads from touching. Leave the R and O wires at 2"
out of the harness connected to the kill switch. insulate all of the connections and to cover the cut in the sheath.